URLs, technically expands to a full form – Uniform Resource Locator. If you know the right way to guess an important URL or similar, you might be able to get a fortune. When you navigate on a website, you get to check out the URLs that are meant to be accessible. But there remains a lot of hidden/secret URLs to a website which might be publicly accessible but not easily traceable. If this applies to Google, there are a lot of benefits if you get to know certain Google URLs. www. .com with a copy space card with beach background via Shutterstock. 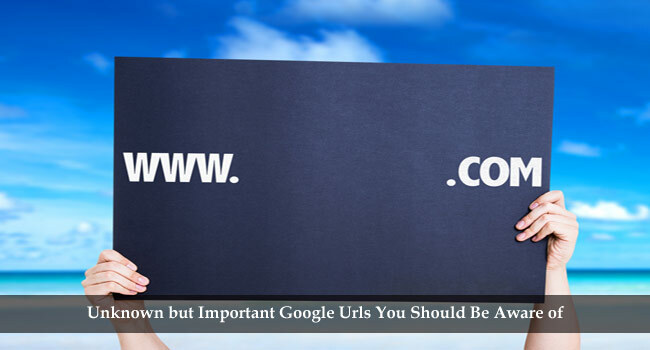 However, Google URLs mentioned in the article is not something that Google does not permit to access, but simply, those would be the ones that are hard to get when navigating through. Also, getting to know certain Google URLs will let you know about your secrets that remain deep inside Google’s mind (servers! ), which you never cared to know about. Why doesn’t Google promote these URLs? Well, we don’t have a legal statement to let you know more about it nor we have an accurate answer to this question. But, we surely know that Google doesn’t promote these URLs much. There might be several reasons not to promote all of the Google URLs. We might say that Google wants only users with “brains” or Google users who are interested to know about interesting URLs should get to know about them. Similarly, several other human generated reasons may exist across the world. Let us take a good look at the 10 Google URLs that every user should get to know. You might have checked the history of the search terms you used. But did you check your voice search results? Google keeps track of all the voice search terms that you made through Google (or YouTube). This keeps getting more interesting as well because not only the search terms, but Google listens and records the audio as well. If you want to check the voice search terms and the audio as well. Simply click on the Google URL as mentioned below. Navigation through YouTube is really easy. But, sometimes, it feels annoying when you try to search for a video that you had watched earlier. Looking for that on your browser’s history section? Oops! Have you deleted the history? What now? Fret not, Google URLs to the rescue. Just click the button below and get YouTube video history and search history as well. You must be probably aware that Google Maps has a feature that can be enabled / disabled. And, that’s simply – Location history. Well, then you now know that you can have it enabled. But, where to check the location history from your desktop browser? There’s this Google URL to get the job done. 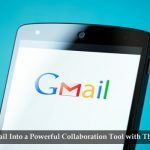 You do get the ability to fill in passwords automatically on websites which you have saved to the Google smart password manager. But, what if you require them all at once? You may not observe the “lock key” symbol sometimes in order to manage the passwords. Do not worry; you just need the useful Google URL that would definitely come handy if you have forgotten the password or you want to change it manually. Have you taken the necessary measures in order to protect your account? Don’t have an idea about what to do? One of the Google URLs would easily help you with that. Not limited to the measures, but also you can get the list of the connected device, IP address, and the location info as well. It’s a complete security dashboard that you should be accessing regularly. You have already got to know about searching for the YouTube history in the above section. But, what about the plain and simple text terms that you typed in for Google search. Well, anyone can access it if they have access to your account. So, there is a possible privacy risk. Mind protecting your online privacy? Look for and manage the Google search history with the help of the mentioned URL. Normally, Google lets you create a new Gmail account and assign the “@gmail” address as the username for the account. 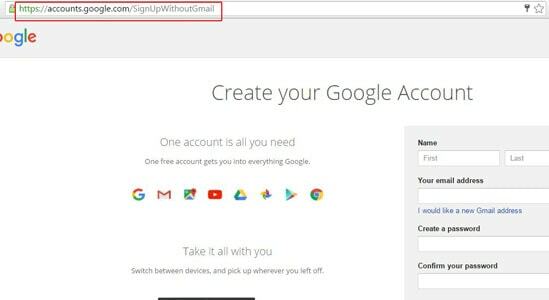 But, you can also sign up using any other email address using this Google URL. If you find a duplicate content or content that has been scrapped off your site, you can report it to Google in order to take down the content from all kinds of Google Services. Not just that, even if you find a disturbing content that you think should be taken down from all of the Google services, you can report it as well. So, in order to report a content, visit this Google URL. If you are always concerned about your online privacy, then you must be aware that various Advertising networks including Google’s own – Google Adsense collect information. The information collected are mostly, likes / dislikes, region, click analytics, and some other info as well. This helps the advertising networks to deliver appropriate or precisely – relevant ads for your experience. Yes, that’s somewhat helpful. But, you can control it from your end as well. Here is the URL that can get the job done. Well, according to the recent reports, in India, 97% of the smartphone users are Android device users. Surely, Android has a larger market share than other devices. If you own an Android device, chances are, you might lose it somewhere, someone might steal it, or someone might accidentally misplace it. No matter what, you can still control your Android device if the device has an active Internet connection. You can wipe the device data, lock the device, or just check the location. All things considered, the Google URL mentioned below will do the work just fine. So, now that you have known about the best Google URLs. You can be faster, efficient, more productive and can have a good control on your activities as a Google user. You can delete search history, listen to the audio search history, find your phone, report content and do tons of similar things using the 10 URLs mentioned. Do you know other useful URLs that every user should get to know? Spotted one of the secret Google URLs? We would love to hear from you in the comments section below. Just amazing and interesting information you shared here. Although there are several of things which is i am not know but today reading your above articles i know all of them about URL. Please keep updates and thanx for sharing valuable information. But it is an interesting article, I’ve learned some important point your laid down here. Will do all I can to share this article with my friends.